The S.E.5 was designed by Henry P. Folland and J. Kenworthy of the Royal Aircraft Factory in Farnborough and first flew in November 1916. The S.E.5 initially utilised the 150-hp V8 Hispano-Suiza 8a engine which proved to be unreliable in service resulting in the famous 200hp Wolseley Viper powered S.E.5a. It is of note the Royal Aircraft Factory S.E.5 and the Sopwith Camel fighters were largely responsible for the allied forces gaining air superiority following the disastrous events of Bloody April" in 1917, and maintaining this position until the end of the war by which time over 5000 aircraft had been produced. 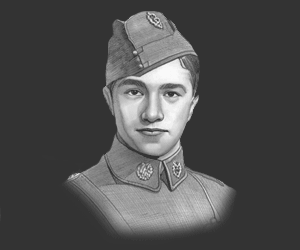 Famous allied fighter aces who flew S.E.5’s during the latter part of WW1 included Albert Ball, Billy Bishop, Edward Mannock and James McCudden. 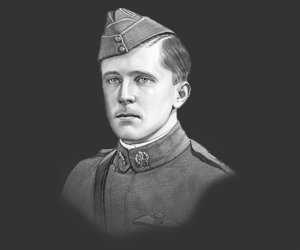 The pictures opposite depict Albert Ball credited with 44 victories who died in a crash in france in May 1917 aged 20 and William Avery Bishop, better known as "Billy Bishop" who was credited with 72 victories and was the top Canadian ace of WWI. This picture of Royal Aircraft Factory SE5A is Copyright © June 2014 Siteseen Ltd. We only authorise non-commercial picture use and particularly encourage their use for educational purposes. This Royal Aircraft Factory SE5A picture is not in the Public Domain. 3) Use of this Royal Aircraft Factory SE5A picture, or any of our pictures on websites re-distributing copyright free material is strictly prohibited.